Join us for a special evening with Syracuse’s Mark Horvath, founder of Invisible People an innovative storytelling organization changing the way we think about people experiencing homelessness. Everyone talks about social media’s potential to democratize and empower those less fortunate. Mark actually makes that happen. 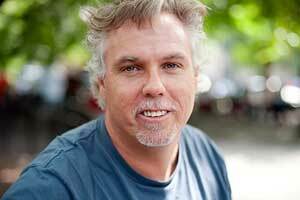 Mark, or @hardlynormal as the Internet knows him, is an internationally recognized activist who tells the story of the countless individuals without a voice– those living in shelters, motels, tents, alongside streets and under highway bridges. His platform InvisiblePeople.tv is one of the most revolutionary and poignant storytelling destinations we’ve ever seen on the web. Mark’s work is extraordinary because he not only helps solve the systemic, scaled problems of homelessness by destroying stereotypes, but he also helps singular individuals, every day. This program is made possible, in part, by funding from the County of Onondaga, administered by CNY Arts.